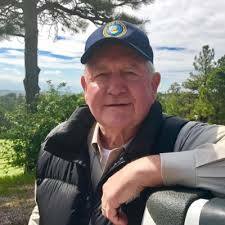 In light of the deadly Paradise fire in northern California, along with the other devastating fires in the state over the last 10 years, California Ag Today spoke with Secretary of Agriculture Sonny Perdue and Secretary of the Interior Ryan Zinke about the state's forests. Perdue believes that significant losses could have been averted. 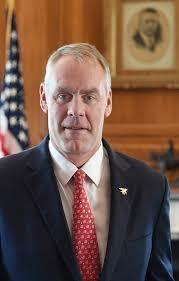 Zinke said that officials need to act on good forest management. Zinke noted common sense forest principles that need to be addressed at once. But Zinke explained that good forest management in California has a big problem: radical environmentalists. Zinke said that he does not want to point fingers just at the environmentalists, though. “There's a lot of variables: the season's getting longer, the temperatures are getting hotter. We've had historic drought conditions in California, which has lead to dead and dying trees from beetle kill. There is a high density of trees, with enormous underbrush and those things can be mitigated, but we have to get to work,” he explained. Perdue challenges the radical environmentalists' desire for an untouched, pristine forest. A well-managed forest provides economy and jobs for rural communities as needed, but wildlife, the recreational aspect, the hiking, the water quality, all those also improve with well-managed forests. “I think some environmentalists are coming around to that to that way of thinking, I think even some environmentalists realize they've overreached and [are] keeping management out of these forests, but we need more to come along, and we need the lawsuits to stop,” Perdue said. Zinke said public land is for the benefit and the enjoyment of all people and not special interest groups. “And what we're seeing in the last decade [is] that special interest groups are really exercising their very tight agenda. The result has been a buildup of fuels coupled with droughts, and with increased density of dead and dying trees, as well as beetle kill. And so the condition of our forest as we look at them today, are not healthy—and they are a threat to populations like, like Paradise, and we can do better,” Zinke explained. “I think the solution is looking at models that are effective, using best science, best practices, and certainly having more authority or we don't have to go through an entire Environmental Impact Report (EIS) to cut a single tree,” Zinke said. And that's exactly what Zinke had to do when he was a congressman in Montana. “[As] a former congressman, I sponsored the bill to allow a power company to remove vegetation in a prescribed easement. And it took an act of Congress to move the bill through. But is still gave 60 days for a notification before the power company could remove what was called an imminent danger tree. This is a tree that's going to fall on the power lines, no doubt ... it has a potential of starting a forest fire, but it still took 60 days of notification for a power company to have the authority to remove a single tree in a prescribed easement,” he said. Zinke noted that there are a number of legislative fixes, and some of them can be in the Farm Bill. “We need more authority to have category exclusions, to do the right thing and take a common sense approach so we don't have to go through year after year of these 100,000-acre-plus fires that are enormously destructive,” Zinke said. The massive fires put our firefighters and our communities at risk. “I do think that America is waking up, and sees that we can manage these forest using best practices, and best science,” Zinke said. “We should be able to manage our forests. And when nature alone takes this course without management .. it has consequences, and those consequences, unfortunately, have led to entire communities being destroyed and a tremendous amount of loss of life. We can do better and we should,” Zinke explained. << Previous post: Sorghum Not Well Known in the U.S.